UPDATE: Team Pangu has released a tool to jailbreak iOS 8 to iOS 8.1 untethered on iPhone 6, 6 Plus, 5s, 5c, 5, 4s, all iPads, and iPod touch 5. You can read more about it all, along with jailbreaking instructions, download link and more for new jailbreak in our dedicated articles given below. If you are already jailbroken using Pangu8, make sure you update the latest untether package to get all the bug fixes. A guide on how to update to latest untether package for already jailbroken devices can be found here. Here’s a brief timeline of how the jailbreak came into being. When Apple released iOS 8 in September, many were looking to jailbreak their iPhones, iPads and iPod touches on the latest firmware. With iOS 7, we were somewhat spoilt, with Evad3rs covering the earlier builds before Chinese team Pangu came through to jailbreak iOS 7.1 and up. But with iOS 8, we were back to square one. Apple followed the initial iOS 8.0 release with 8.0.1, 8.0.2, and finally iOS 8.1 in October with support for Apple Pay and more. iOS 8.1 download links can be found here. Soon after iOS 8.1 was released, Pangu surprised us all by dropping Pangu iOS 8 – iOS 8.1 Jailbreak for iPhone 6, 6 Plus, 5s iPad Air 2 and all other devices. The initial release was in Chinese, Windows only, and didn’t include Cydia. Saurik soon updated Cydia for iOS 8 but it required manual installation. A week later, Pangu released version 1.1.0 in English language with Cydia bundled. We have detailed tutorials on how to jailbreak your iOS device on iOS 8.x using Pangu. All the tutorial links are given at the top of this post. While currently there is no Mac OS X version available as yet, we have a workaround for running Pangu on OS X using a virtual machine. A tutorial for that too is linked above. As our long-time readers will know by now, we’re big fans of the iOS jailbreak scene and everything that it does, so stay tuned to our coverage for updates and information as it happens right here! Update x1: Pangu 0.3 and Pangu 0.4 updates are now available on Cydia. Brings various fixes including fix for over heating issue on 32-bit devices and Safari. Update x2: Pangu version 1.2.1 is out. Download it from here. Update x3: Pangu for Mac is out. Updated guide for OS X is linked above. 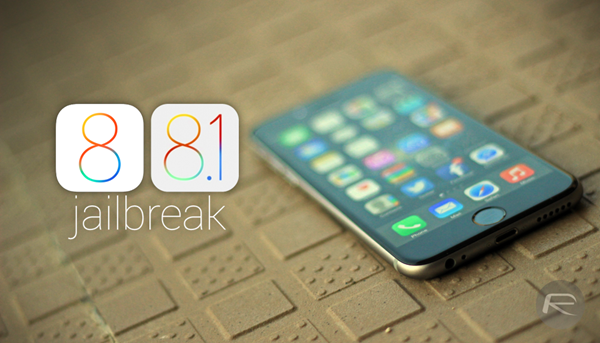 Update x4: Apple has now released iOS 8.1.1 which has confirmed to patch Pangu8 untether. Hi I have an iphone 6 plus I bought it second hand the it is blocked on icloud and the person who sold it ti me has left the country an I have no way to contact her. Will jailbreaking it reset it so i can use it or can you recommend something else? Hate to say, but you’re screwed….